Here are some regularly asked questions. If you need further clarifications, please feel free to contact us at our agencies or area offices. What are the opening hours of your STC agents? Non-Draw Days: Monday, Tuesday, Thursday and Friday: From 10.00a.m to 6.00p.m. What is the last bet time for a draw? 7.00p.m sharp on the draw days. You can place you bet at any of our agencies throughout Sabah. Check here for list of locations. Is there a stipulated minimum age for betting? Our agents will only accept bets from any person who is aged 21 and above. How many draws can I bet at any one time? 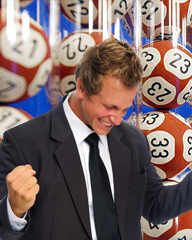 4D numbers may be bet on for 4 consecutive draws from the current draw at a time. How do I take special care of my 4D tickets? Do keep tickets in a clean, dry and safe place. Don't stain, iron, wash, bend, fold, crumple or expose 4D tickets to heat. If my 4D ticket is torn, will I still get my prize? Prizes will only be paid to holders of valid tickets that are legible and in good condition. The company may try to process torn tickets if all portions are available with the crucial information intact and legible. However, this must be referred to our area office and subject to approval. Can I still make a claim, if I lose my 4D ticket? That is why it is important that you keep your 4D ticket in a safe place. When and where are the draws held? Time: 7:00 pm sharp (Malaysian Local Time) every Wednesday, Saturday and Sunday or other times approved by the Ministry of Finance, Malaysia. How are 4D draws conducted? 4D draws are conducted by officers from Everise Ventures and in full view of the general public. 4D numbers are drawn from numbered balls in a transparent drum that is mechanically controlled. The drums are rotated to thoroughly jumble up the numbered balls so that each ball has an equal chance of being drawn. Are the draws opened to the public? Yes. As long as you are aged 21 years and above. You are welcome to witness the draw. Can I witness the draw? Yes. If you are aged 21 and above. You can be selected as an official witness in the draw. What will I get for participating in the draws? A token sum will be given out to the selected participants in each draw. Where can I find the results of the current draw? Results Board displayed at draw premises. Can I still get results of previous draws? Any STC agencies; only results of the past 6 months draws will be available. Where can I track winning statistics of a 4D number? Click here for the statistics. This service provides the historical records of the winning streaks of any 4D number since 1995. Enter the 4D number and click the "submit" button and the page will display the statistics. A RM1.00 bet on the small forecast gives you the chance to win up to 3 top prizes; i.e. First, Second and Third Prize. How soon can I claim my prize after the draw? On the next business day after the draw. What must I bring along to claim my prize? Please bring along the winning ticket, of course, and your identity card or passport. Do I have to go personally to claim my prize? Yes, you must collect your prize money personally. We are not responsible for any fraud arising from this if you choose to appoint a representative to collect your winnings. Are prizes paid in cash or by cheque? Prizes up to RM 2,200 are normally paid in cash. Prizes more than this are paid by cheque. However, cash payments for larger prizes can be made subject to availability of cash at the outlet at the time of claiming. What is the validity period for claiming my prize? Prizes may still be claimed within six months from the date of the draw concerned. What is the record for highest payout on a 4D number in a draw? Please click here to check the latest list of highest paid 4D numbers and the prizes paid.